Former New York Assembly Speaker Sheldon Silver was sentenced to seven years in prison at a federal court in New York on Friday. He brokered deals for two decades before corruption charges ended his career. Silver's attorneys argued in the appeal that the decision meant the jurors received erroneous instructions. In court, Silver's defense attorneys argued for a shorter prison sentence combined with community service, according to CBS News. He also was reported to have sent U.S. District Judge Valerie Caproni a letter pleading for compassion. "I pray I will not die in prison," he wrote. "The work that has been the focus of most of my life has become dirty and shameful. Everything I ever accomplished has become a joke and a spectacle. ... I beg for your mercy so that I can somehow go out into the world again to atone to everyone I have hurt." 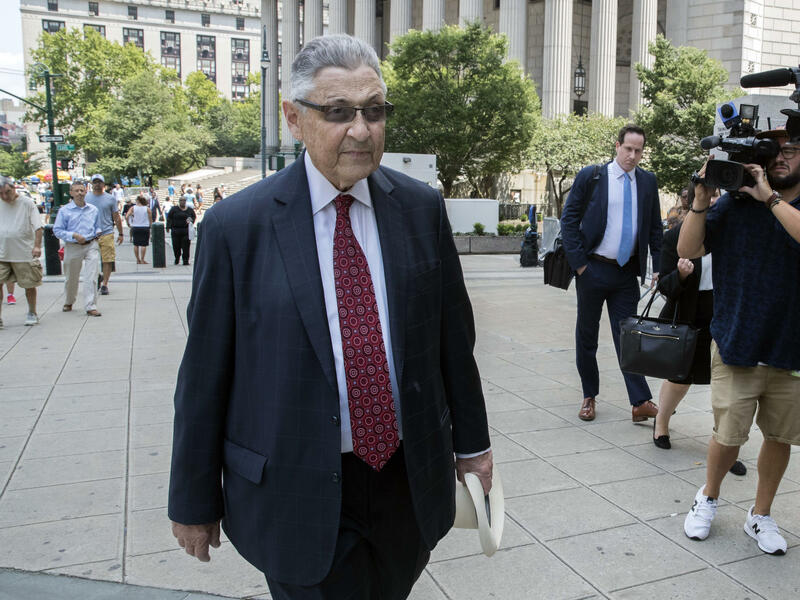 "When he assumed his powerful position at the top of New York State government, Sheldon Silver took an oath to do the work of the people," U.S. Attorney Geoffrey Berman said in a statement issued Friday. "Instead, he leveraged his tremendous influence to pad his bank account and line his pockets." Silver's lawyer Michael Feldberg did not respond to NPR's requests for comment. He told The New York Post that he plans to appeal the second verdict on grounds that the government failed to prove that Silver promised anything for the referrals.